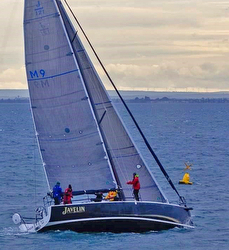 The Passage+Twilight and Corio Bay series include many members of the ubiquitous Australian J/24 class. Those teams include Peter Kirman’s BAILE DE LUNA, Jeff Harris’ FUN, Pauliina Mattila’s BRUSCHETTA VI, Simon Grain’s JET, Chris Ravesi’s SANGUINE, and Miles Hurrell’s SCRUMPY. Follow the Festival of Sails on Facebook here For more Festival of Sails sailing information Add to Flipboard Magazine.